Finally some one in the liberal black community is admitting the truth, Barack Obama has been a nightmare for blacks. During an interview on Fox News’s ‘Hannity,’ PBS’s Tavis Smiley said the following, “The data is going to indicate sadly that when the Obama administration is over, black people will have lost ground in every single leading economic indicator category” There you have it, blacks who voted for Obama 95% in 2008 and 93% in 2012, have been sold a bill of goods and received nothing for their vote but food stamps. So why would African-Americans have voted in such large numbers for a president who has failed them incredibly? Could it possibly be that the liberal MSM and black leaders have refused to tell them the truth that Obama has been their worst nightmare? What would the liberal media be reporting if blacks had lost ground in every single economic indicator, if the president was white? SEAN HANNITY, HOST: My last question to you. You often do these seminars with the state of black America. I’ve watched them on C-Span and different channels, right? HANNITY: Are black Americans better off five years into the Obama presidency? SMILEY: Let me answer your question very forthrightly. No, they are not. The data is going to indicate sadly that when the Obama administration is over, black people will have lost ground in every single leading economic indicator category. On that regard, the president ought to be held responsible. But here’s the other side. I respect the president. I will protect the president. And I will correct the president. He’s right on this government shutdown. Republicans are thwarting the rule of law with the Constitution. If they let this debt go into default, they’re trampling again on the Constitution. When will minorities ever wake up, but that’s right, it’s all Republicans fault. WOW … not about race eh? Fox News analyst Geraldo Rivera is never at a loss for words or creating controversy. Rivera stated this morning on Fox & Friends that the second degree murder case against George Zimmerman was created by Al Sharpton and “race politics”. It was that racial agitation and race baiting by Sharpton that fanned the flames it create the scenario why such a weak murder case was brought against Zimmerman (see VIDEO). From the outset MSNBC created a false narrative that Zimmerman was a racist, when the doctored the 911 tapes. Rivera said that he believed that the first prosecutor got it right and that what happened that night between George Zimmerman and Trayvon Martin was self defense. Rivera opened the segment by saying that he was not surprised that the judge in the Zimmerman case allowed the jury to consider manslaughter charges because that is the only charge which may apply to the defendant. “This was a case brought because of political pressure – race politics in this country – I hate to say it,” Rivera said. He added that he holds Sharpton in “higher regard” than most of his colleagues, but he does believe that the MSNBC host’s agitation was the “catalyst” behind Florida state attorney Angela Corey seeking a second degree murder conviction against Zimmerman. “I believe the original prosecutor got it right – I think it is a self-defense situation,” Rivera added. He said that the prosecution’s “desperation” is apparent in their effort to have the jury consider a variety of lesser charges during deliberation. “They have zero chance of convicting this man on murder,” the Fox host continued. Finally, Rivera said that the six female jury members will find that Zimmerman was justified in shooting Martin because they would have pulled the trigger in that situation faster than he did. How could Geraldo Rivera possibly come up with the the idea that it was Al Sharpton who played “race” politics and was the driving force for forcing the prosecution to arrest, try and convict George Zimmerman. Maybe one needs to just watch the video below. Listen to the video below and the Sharpton claims of win at all cost because, “we cannot allow a legal precedent to be established in this city that tells us that it is legal for a man to kill us and tell any story he wants and walks out with the murder weapon”. In the end Geraldo Rivera said that he thought that George Zimmerman would be acquitted. Rivera believed that it was self defense under Florida law. However, this is Florida and as we learned from the Casey Anthony jury, anything, and I mean anything is possible. THE LION LYING KING: There has been no greater hypocrite to ever grace the White House than President Barack Hussein Obama … The following is subtitles. Taxes for thee, not for me. President Barack Obama is about class warfare, he is about dividing America and now he is about hypocrisy. During the 2012 Presidential campaign Obama railed on the 1%’ers and called all those rich people who paid less than their secretaries the evil rich. Obama harped on the so-called Buffett Rule, which would require millionaires to pay at least 30% of their income in taxes. Of course this came about because the evil rich were making most of their money from investments as opposed to income, that are taxed at a different rate. During the 2012 presidential election Obama played class warfare and went after his GOP opponent Mitt Romney who paid about 14% on his income. Obama made political hay lying to the American public and using the issue that ultra-rich Warren Buffett paid less in his tax rate than did his secretary. However, in 2011 the hypocrite that resides in the White House also paid a lower effective tax rate than his secretary. What, You thought the 30% tax for the rich was meant for me? Guess what, Obama is even more of a hypocrite in 2012 than he was in 2011. According the WSJ, President Barack Obama paid an effective tax rate of only 18.4%. Yup America, that’s it. For all his whining, for all his rhetoric, for all his class warfare and the rich should pay 30% … OBAMA ONLY PAID 18%. I guess this is more of the shared sacrifice that Obama talks about. Obama tells other rich folks that they are evil because they pay a low tax effective rate, yet he takes advantage of the same deductions and loop holes that everyone else does. If he was a true leader and really had the convictions of his beliefs, he would have told his accountants not to take the deductions and make it that his effective rate came to 30% for 2012. However, he did not do so because like every liberal, he wants others to pay the money, not themselves. President Barack Obama and first lady Michelle Obama paid $112,214 in federal income taxes for 2012 on adjusted gross income of $608,611, an effective rate of 18.4%, the White House said. The first family’s adjusted gross income—the amount after certain deductions and exemptions—was down from $789,674 the Obamas reported in 2011, when they paid total federal taxes of $162,074, an effective rate of 20.5%. The decline was due primarily to falling royalties from sales of books Mr. Obama has written, according to tax returns released Friday. The president’s book-related earnings peaked in 2009 when he garnered about $5.6 million from two publications, “The Audacity of Hope” and “Dreams From My Father.” The royalties have fallen over time, to just under $274,000 in 2012. The Obamas paid $29,450 in state income tax to Illinois for 2012. Obama is truly a disgrace as President. Where is the MSM calling Obama out on his double standard hypocrisy? Personally, I do not believe in the “Buffett Rule”, but if one did and actually wanted to make it a law, one would think that they would lead by example. Not this president. BARACK OBAMA HAS BEEN AN EPIC FAILURE FOR THE BLACK COMMUNITY … BLACK AMERICA, HOW’S THAT HOPEY-CHANGEY STUFF WORKING OUT FOR YOU? Blacks should wonder why with the first black president, blacks are even more worse off than before … Can they handle the truth? Have they just figured out that Barack Obama has been an complete an epic failure as president? 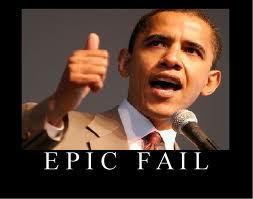 Obama has promised job growth and none nothing but make matters worse, increase the federal debt and increase costs. As reported by CNS News, Black Entertainment Television (BET) founder Bob Johnson said earlier this week .at the National Press Club that the United States would “never tolerate white unemployment at 14 or 15%”. He went on to say that the unemployment for the black community has been double that of white Americans for over 50 years. Obviously Obama has no issue with the high black unemployment rate as he has made matters worse during his regime. Its also many black leaders are finally making their voices heard after 4 years of silence during Obama’s first term. As per Town Hall, political leaders from the Congressional Black Caucus to the NAACP have begun to open fire on the White House. To be perfectly honest, I am not sure why anyone would tolerate the present national average of unemployment, no matter what one’s skin color is. Obama’s economic policies have been a disaster for all people of any color. This country would never tolerate white unemployment at 14 and 15 percent. No one would ever stay in office at 14 or 15 percent unemployment in this nation, but we’ve had that double unemployment for over 50 years,” Johnson said while speaking at the National Press Club about the gap between whites and blacks in America. However, does Bob Johnson want the truth to his questions, or just more excuses that have been the cause that have kept black unemployment percentages high? Under President Barack Obama, unemployment for blacks has been abysmal. 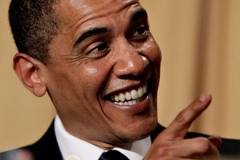 Males, females and teens have all seen their unemployment numbers skyrocket under Obama. But I thought he cared about them? How does a segment of the population support a president with 95% of the vote and still get nothing in return. And by getting something I do not mean for food stamps, unemployment and Obama phones. As reported at Vibe, Dr. Benjamin Carson criticizes President Obama on Black unemployment, “If President Obama wants to be a hero in the African-American community, he should do something to alleviate the “abominable” Black unemployment rate in America”. Black Leaders Open Fire on Obama Over Unemployment. Barack Obama’s failed job policies are facing bitter criticism from African-American leaders who say black unemployment has grown worse under his presidency. After four years of holding their tongues and remaining quiet in the face of sharply rising black unemployment and record poverty, political leaders from the Congressional Black Caucus to the NAACP have begun to open fire on the White House. Black, Female Unemployment Higher Than When Obama Took Office. Unemployment for both women and African-Americans is higher today than it was when President Barack Obama first took office in 2009, according to federal government data. Despite an economy that has technically been in recovery since June of 2009, many economic indicators are the same or worse than when President Obama gave his first address to a Joint Session of Congress in February 2009. “We will rebuild, we will recover, and the United States of America will emerge stronger than before,” Obama said in that speech. However, employment for African-Americans and women has not recovered and, in fact, is worse today than it was when Obama said those words. MAKING PEOPLE DEPENDENT UPON GOVERNMENT TO GET THEIR VOTE WILL NEVER FIX THE PROBLEM. President Barack Hussein Obama stated, “I am not a dictator. I am the president.” Really? It’s been my experience in life when ever some one has to tell you who they are not, they usually are. Isn’t it dictators who disregard the will of the people and cram their agenda down the throats of those they rule, such like Obamacare? Isn’t it dictators like Nicolae Ceausescu, Saddam Hussein, and Fidel Castro who also released criminal prisoners? Isn’t it dictators who play class warfare and keep its citizens at each others throats so that they can rule by fiat? Isn’t it a dictator who threatens the media to keep them in line so that they will operate as their propaganda tool? Isn’t it a dictator who wants to keep the people dependent upon the government and food stamps, and cause individuals to struggle as median incomes fall? Isn’t it a dictator who makes false promises to their people to keep them in line when they knew all along it was a lie? Isn’t it a dictator who would consistently show contempt for the US Constitution whose sole purpose was to define federal authority and the rights of the People? Isn’t it a dictator who would watch millions of Americans struggle, lose their jobs, homes and businesses while they go on vacations, weekly gold outings and live the life of Riley? All the while they say they care, but do nothing but keep the citizenry at conflict with one another. Isn’t it a dictator who would over-regulate business in order to control and suppress the economy? Isn’t it a dictator who blames everyone one else for the ills of society, when they are the one who is in control? Isn’t it a dictator who would want to control an individuals entire life from birth to death? All in all, I would say you are a dictator. Sorry, I know tyranny when I see it.